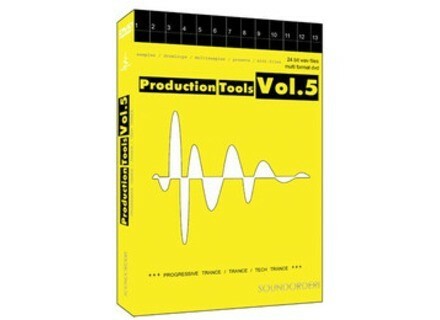 Production Tools Vol. 5, Synthesizer Sample from Best Service. Best Service has released Production Tools Vol. 5, a new sample library from Soundorder. The collection features 35 new construction kits for Progressive / Trance / Tech Trance, covering drums, leads, basses, pads, synths and sound effects. Every tool kit is split up into loops and single samples. The producers have also included synth- & sampler presets as well as midi files for every single track. To adjust the tempo to your needs, all Wav loops are available in Apple Loops and REX format. 4,7 GB, 24-Bit audio quality. Includes Synthesizer presets, Single samples (drums/ instruments), Loops (drums/ instruments) Wav + Apple Loops, and Midi Files. All instruments also in Kontakt format. Pre-arranged song ideas for previewing included. 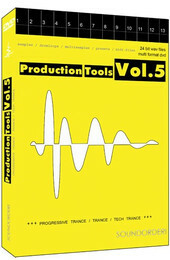 Production Tools Vol 5 is available to purchase for MSRP 87 EUR / £79 GBP / $99 USD. Zplane Elastique Pitch v1.2 zplane.development has announced the availability of version 1.2 of its Elastique Pitch plug-in for Windows and Mac. New Steinberg VST Sound Loop Sets Steinberg released four new VST Sound Loop Sets. The titles Dubstep, Indie Rock, Nu Metal and Urban reveal dedicated sound content selected for four contemporary music styles. Celemony Melodyne Editor 2 Celemony presents Version 2 of Melodyne editor at the AES in New York. The new version offers possibilities for working with different scales and temperaments, timing tools, Rewire integration, and other changes.